Want to be on TV?! The makers of ‘Made in Chelsea’ and ‘Meet the Middletons’ are currently making a brand new documentary series for Sky following Newly Wedded couples over their first year of married life. 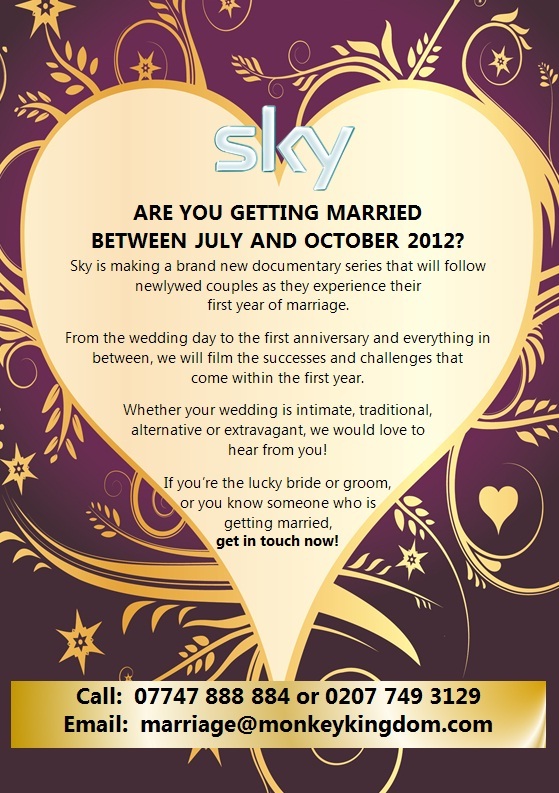 They are looking for wonderful couples who are planning a wedding between July and October 2012, who would be willing to share their special day with us and happy to let us film throughout the coming year.